We are currently holding a Giveaway on our Elucid Plain Tees!!! 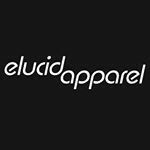 Click the link below and check out our instagram @ElucidApparel for your chance to enter! Be sure to check out our site!